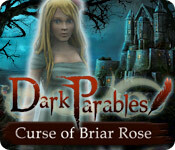 Dark Parables: Curse of the Briar Rose is rated 3.9 out of 5 by 91. Rated 5 out of 5 by anabigfish from Absolutely Wonderful! This was one of the first HOP games I ever played and it was only recently that I played it again and I have to say, it is still just as wonderful as the first time I played it. The storyline immediately draws you in because it is such a twist on the fairytale combined with Dark Parables galore and the graphics are beyond astounding. The gameplay is interesting and the morphing objects add a flare to it. This game thrills you to the very end and I absolutely recommend it. Rated 5 out of 5 by JulzCat from A Great Beginning To An Excellent Series! Despite all the new and improved Dark Parable games, I still go back and play this one again. Perhaps, for its simplicity? I love the FROGs, the door puzzles and the lovely scenery and music. You can play it in hard mode (no hints or skips) once you finish, but you'll only need to until you find the rope, then you can go down into the well to open the secret door. Briar Rose will appear again throughout the many DP games, and this is one of the few where the detective doesn't get thrown off her horse, LOL! Rated 5 out of 5 by hermitcave from I thoroughly enjoyed this game one of the best I have played in a while My first Dark Parables game and I was not disappointed. I found it hard to stop playing. I found the story engaging and well written and the music was very easy to listen to while playing. The graphics were excellent being clear and easily viewed even in dark scenes. 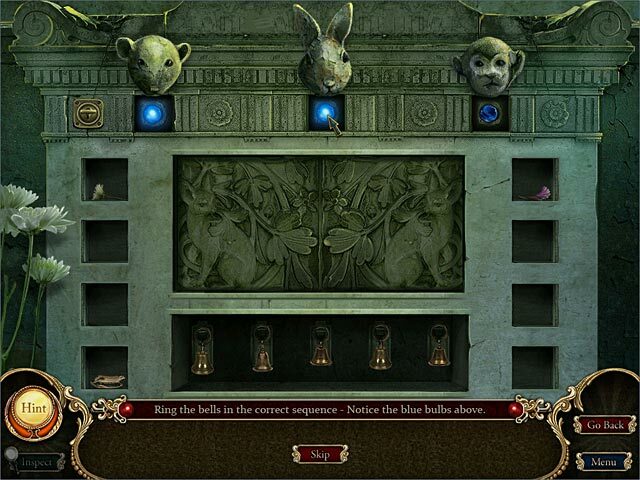 The game is an adventure in which you work through hidden object screens where you find fragments of three parts of an item that will be used somewhere. The fragments are well blended in the scene and you have to look closely to find some of them. Also, you will have various puzzles scattered along the way such as placing colored marbles on specific colored squares, matching items to places in a scene, etc. Most are fairly easy but may require some thought. There are a lot of places to visit and many are just one visit for an iten needed later. There are some morphing objects to be found also. After finishing the game, I was told that I could play it again in hard mode, which apparently is without hints. I have purchased some of the other games in this series and can't wait to play them. Highly recommended. 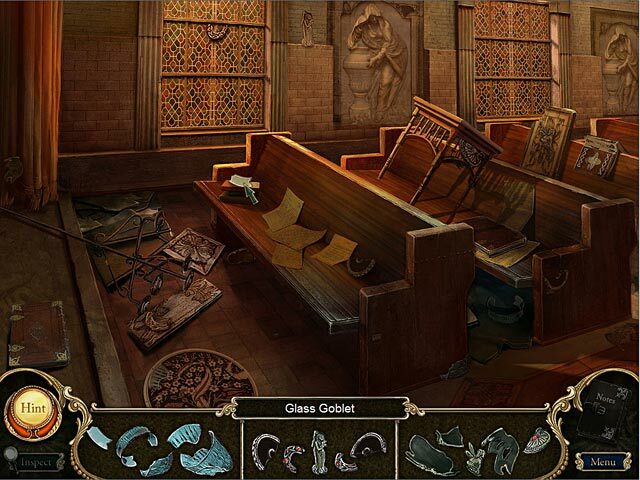 Rated 5 out of 5 by YMTetzlaff from Excellent hidden object game! One of my favorite games to play. I recommend it to all o my friends and family. I like building objects in the hidden object games. Games within games are my favorite.There was nothing about the game that I disliked. I is a game and story at its finest. Kudos to the developers ! Rated 5 out of 5 by pennmom36 from Dark Parables: Curse of Briar Rose SE To celebrate the birth of their daughter, Briar Rose, the King and Queen hosted a festival for all to enjoy, everyone was invited, except for a single Godmother. This Godmother was a sorceress with evil and wicked intentions and didn't take this well, vowing to get even. That's exactly what she did several years later when Briar Rose pricked her finger on a spindle laced with an evil spell that cast everyone in the kingdom into a slumber and briars began to consume the grounds of the castle encasing everything and everyone in a thick and thorny tomb! Only one person dared to rescue the Princess, a handsome Prince who chopped his way into the castle to free the lovely Princess Briar Rose and kiss her gently on the lips. Well that always works in the fairy tales but this time it only worked on everyone but the Princess who continued to sleep. One thousand years later you are called upon to find a way to destroy the briars that will consume the entire town within 7 days, is this even possible? This is the first game I played that had morphing objects, and I was hooked. Therefor the Collectors Edition is a must for me. Morphs are one of my criterias for purchasing a game and no other series has been able to top the manner in which the objects morph. This is a non linear game in which activities you do in one scene triggers activities in other scenes you have already been to. Some of the morphs happen right away in a current scene, others may not be triggered until you have done something several scenes later so you will need to return to previous locations often to look for morphs and even the FROGS. Your hint meter will fill up faster for each of the morphs you find. The hidden object scenes are actually fragmented object scenes. These are scenes that have several fragmented pieces hidden (some very well hidden or blended) and when all the pieces are found for all 3 sections of an item, the sections will connect to make a single inventory item such as an axe which will be used in the game. The mini games are good, such as choosing the correct three pictured tokens that go to the King, Queen and a Knight such as a crown, a tiara and a helmet, a scepter a mirror and a sword, simple but fun. The Collectors Edition has achievements, 20 morphs, wallpapers, screensavers, music, concept art, Dark Parables novels (very interesting fairytales) a built in strategy guide and a bonus chapter. Personally I prefer the CE but this is still a great game if you don't have to have all the bells and whistles, enjoy! Rated 5 out of 5 by crisgori from Wonderful series Wonderful graphics, well done FROGS, original puzzles, good length, morphing objects and a good amount of backtracking. The only complaint is that there's just one game mode. Rated 5 out of 5 by jocasta1 from Great game! 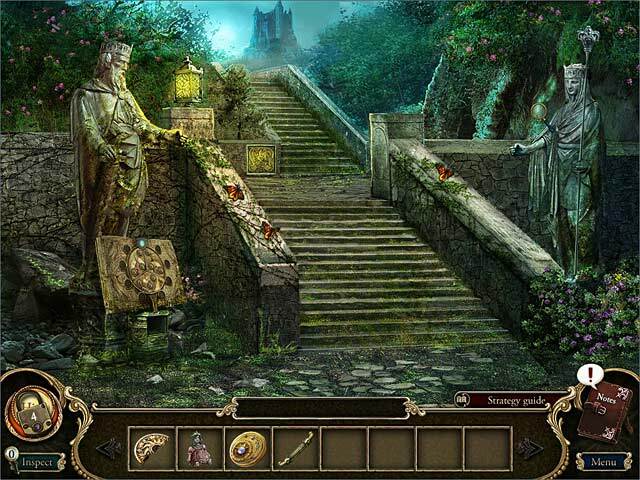 This is a great hidden object game, where the hidden object scenes involve finding all the pieces of one needed item. I love the graphics on this one, as the scenes are beautifully detailed. The story is good, but for me the fun was wending my way through the castle and grounds. Nice take on Sleeping Beauty! Rated 5 out of 5 by MAG57 from Good game but... I did enjoy this game...until I got near the end. I had to beat a game, I had to rush to beat it, there was no skip. This ruined the game for me since I am not into fast games. I couldn't do it, so I didn't get to the end of the game.